Living with a disability means you have to take extra care when choosing where to go to make life easier for yourself or to make sure you don’t feel excluded. Especially when looking for a place to go on holiday to. Now, the teams behind two new bars in the historic Italian city of Bologna have made inclusively and ease of access their main priority. If you’re planning a trip away this winter, perhaps these newest accessible spots can go onto your to-do list! Bar Senza Nome (“Without a Name”) and L’Altro Spazio (“The Other Space”) are the newest hot spots in town truly tailored to all. They are accessible spaces for staff and customers alike. What’s more, given the reported statistics that only one in five disabled people in Italy can find work, the teams behind the bars are determined to prioritise employing people with disabilities. Bar Senza Nome was the brain child of Alfonso Marrazzo, an artist who put his design skills to use in order to create “a common space where different realities can meet and interact” and, where deaf people can find a home. Alfonzo and his team made several changes including; enlarging the counter so that two deaf staff members have space to move around and communicate, installing a huge mirror at the entrance so that the staff members will be able to see what they may not be able to hear happening outside and installing more lamps, which workers can move to attract other colleagues’ attention. Senza Nome has so far proved a great success with rave reviews and has clearly had a large impact on the lives of customers. The process of developing the bars hasn’t all been plain sailing though. 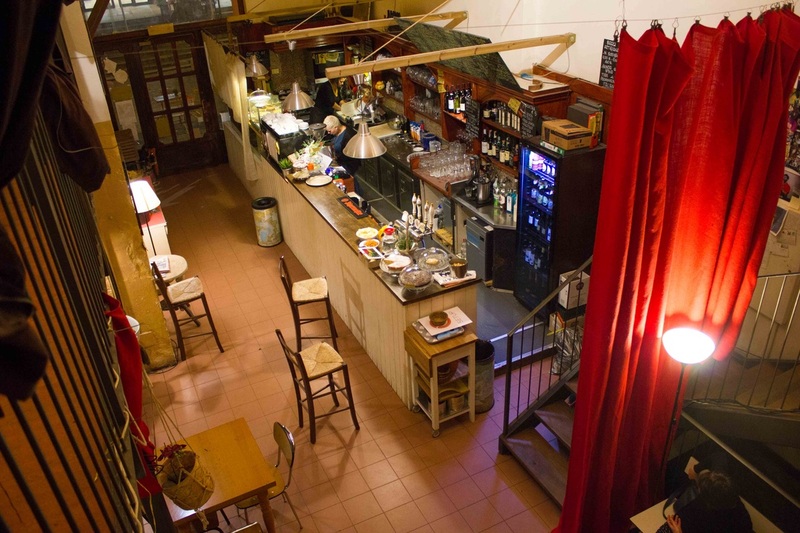 L’Altro Spazio, only a few streets away from Bar Senza Nome faces ongoing challenges in creating an accessible space. As with many historical centres in Italy there are strict rules to preserve cultural heritage. This can pose a huge struggle for those needing adaptations to buildings. As it stands, the city of Bologna has not authorised the construction of a wheelchair ramp in 11 years. Nunzia Vannuccini, one of the owners of L’Altro Spazio explains the difficulties she’s been facing having installed a ramp at the entrance of the bar. “We designed the ramp with an architect who established the best way for it to be built, but at the moment there is no legal route through which our ramp can be authorised”. While she is awaiting a final response from Italian courts, the ramp is still in situ to allow access, though it is accumulating fines daily. Nunzia remains defiant however and chooses to pay the fines for the unauthorised ramp than shut out customers. With passionate and determined people like Alfonzo and Nunzia leading the way in creating more inclusive environments, the future of accessibility in Italy looks to be finally progressing.